Smart Switches: Why Should You Invest? Want to control your home lighting with just a touch on a mobile device? Then invest in smart switches! A smart switch works like a standard light switch, but it give you new ways to control electricity use in your home. Learn more and turn yourself on to a new, smart way to light your home. Smart switches are upgrades to the traditional light switches that you use every day. They can be controlled remotely through a dedicated mobile application or through your home WiFi network. Through the app, you can switch off, dim, or schedule lighting options. Some smart switches also let you control devices or appliances through a smart speaker similar to Amazon Echo. One of the best advantages of smart switches is that they help to save you energy by automatically turning off the lights when motion is undetected for a specified period of time. With smart switches, you can also create schedules to turn lights on or off at any time of day or night. A smart switch can be installed to control appliances such as ceiling fans, waste disposal units, or gas fireplaces. Advanced options include scene lighting for special occasions such as movie night or date night. Lights on smart switches can be set to turn on if motion or sound is detected. In this way, they act as a home security system. Vacation mode can also be used to deter would-be criminals. Lights can be set to randomly turn on and off. Once you make the decision to invest in these modern switches, contact an electrician to avoid unnecessary expenses. Installing these types of switches largely depends on the number you want to install, and it is certainly not necessary to upgrade all of your current light switches. For more information, and if you are looking for an electrician in Frederick County, Maryland, contact Tim Kyle Electric. We have a 100% Satisfaction Guarantee for our residential electrical services. 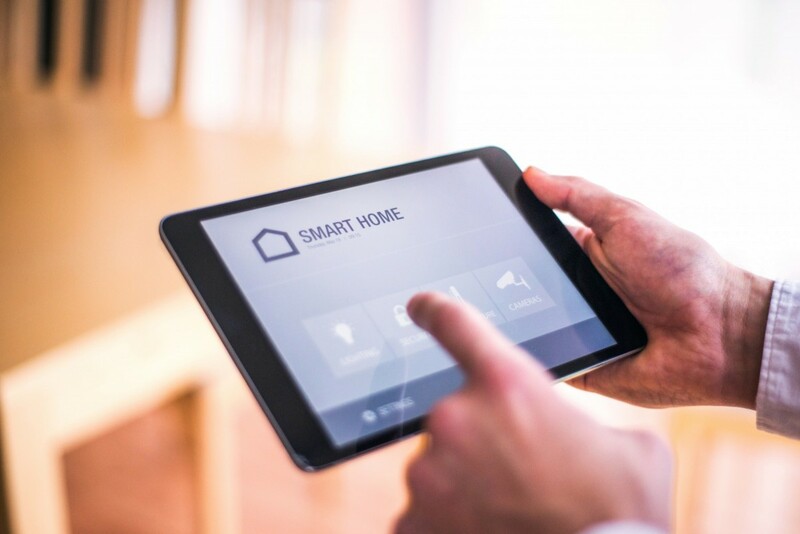 Let us help you turn your home into a smart home.